The fact-based story of surfer Bethany Hamilton, who lost an arm to a shark, has a PG rating, so you know it’s no “127 Hours“-style survival tale, but a story about overcoming adversity aimed at young girls and their parents. Not to sound too cynical, but this could be an interesting blend of the “girl power” genres and the overcoming-disability biopic, or not. At least it has some very good people in the cast. I’m going to be brief tonight, but don’t confuse my brevity with lack of interest. The results this weekend will be modest but may be surprising. 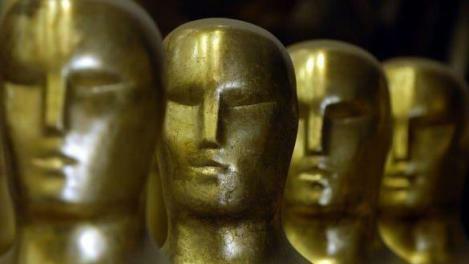 What’s intriguing this time around is that, at least according to Ben Fritz, there’s a small chance that the chart topper will be that top-nomination gathering Oscar contender from award-meister Harvey Weinstein’s house, “The King’s Speech.” Along with fellow awards contender “127 Hours,” it is expanding into hundreds of new theaters and will be in enough locations for a box office coup. However, the more likely cash champion is the very non-acclaimed new supernatural horror thriller from Warner Brothers and starring Mr. Scary Face Anthony Hopkins, “The Rite.” The religious themed, PG-13 thriller is expected to earn something in between the “mid-teens” to $20 million according to both Fritz and THR’s Pamela McClintock, with Fritz being slightly more bullish. The other major new release, “The Mechanic” from CBS Films, is expected to do less well despite actually getting significantly better reviews than “The Rite.” I’ve been covering it here and had fun at its junket, but I have to say I find the R-rated action-heavy hitman thriller a pale reflection of the 1971 original. It wasn’t precisely a great film, exactly, but its honesty about the evil of its protagonists makes for oddly hypnotic viewing. The new version, however, has got two strong leads in Jason Statham and Ben Foster and that, plus some heavy-duty action, will apparently be enough to earn it as much as $10 million, say the gurus. It really looks like this is one weekend where blockbusters really aren’t dominating at the box office. No year in recent memory got off to as slow a start as 2010 did. In the end, it turned out to be a pretty damn good year – especially once I compare this list of movies to my picks from 2008 – but there were some rough patches early on, where nearly every movie we were seeing wasn’t merely mediocre but downright bad. The difference between this year and other years was the event movies; no one expects them to be award-winners, but it makes such a difference when they’re at least good (“Iron Man,” for example). This year, with a couple of exceptions, they were not good (“Iron Man 2,” for example). People like to put down movie critics for being cranky sourpusses, but the truth is most of us want to like the movies we see. “TRON: Legacy,” “Salt,” “Due Date“… I wanted those to be awesome. They weren’t. Luckily for me, there were just over 10 movies that were awesome, which means I have enough for a list, yay! And here they are, along some movies that were most decidedly not awesome. Happy new year, everyone. Now let’s all close our eyes and pretend we don’t see the 3D. Maybe, that way, it will go away. The beauty of Darren Aronofsky’s psychological thriller about a fragile ballet dancer is that there is rarely a point where you know whether you’ve swallowed the blue pill or the red pill. The mirror work alone demands repeat viewings, if you’re brave enough. Where Jesse Eisenberg officially stops being ‘that guy who acts like Michael Cera’ and puts on a showstopping performance as the brilliant but socially inept Mark Zuckerberg. Rooney Mara, meanwhile, is on screen for about six minutes, but makes every second count. And she’s right about the Internet – everything’s written in ink. The most wildly entertaining movie I saw all year. From the dialogue to the editing to the on-screen sound effects, I had a stupid grin plastered to my face from start to finish. Even better to see Chris Evans and Brandon Routh poke fun at their superhero images. And I want to swim in Mary Elizabeth Winstead’s eyes. 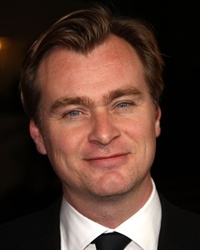 There is a backlash growing against Christopher Nolan. I do not understand why. His movies are well-plotted, well-acted, smart and gorgeous. What’s not to love? 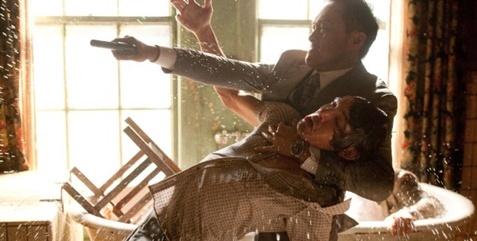 Yes, “Inception” was chatty, but pardon the pun, it dared to dream, and I love movies that go for it. And so did a lot of other people, as its $290 million box office take will attest. 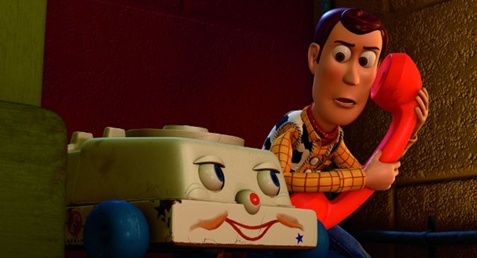 There isn’t a movie out this year that touches the last 10 minutes of “Toy Story 3” in terms of emotional impact. Terrifying one minute, heartbreaking the next, and armed with a bittersweet yet pitch-perfect ending. I still can’t make it through the ending, or even the beginning, without crying.